Turkish Chicken | Time to Cook! Inspiration for wholesome weeknight & weekend cooking. We eat chicken at least once a week and we got so tired of my boring baked chicken preparation. Now that I’ve discovered this wonderful Turkish Seasoning from Penzys Spices, we have an easy and tasty way to make chicken that we all look forward to. Follow the simple marinade and refrigerate in the morning or in the afternoon, and cook the chicken how you like (bake, saute or grill). The marinade should work on lamb and beef just as well as it does on chicken. Recipe adapted from Penzeys catalog. 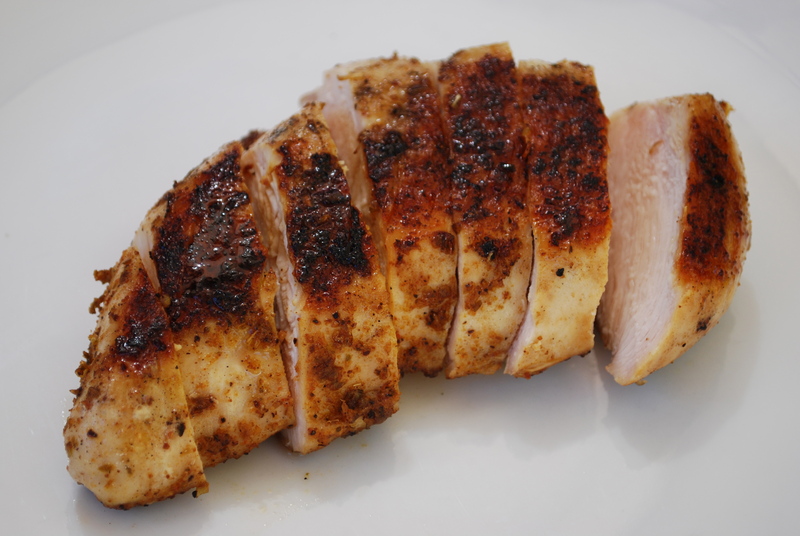 Mix 1 tablespoon olive oil with 1 tablespoon Turkish Seasoning and rub over chicken. Let marinate in refrigerator for at least 2 hours or all day. Bake in oven at 375 or 400 degrees for 15-17 minutes or until chicken is just cooked through (insert knife into thickest part of chicken and chicken will no longer look pink and the juices should run clear). Alternately, sauté in skillet (or grill) over medium-high heat for 6-8 minutes per side or until chicken is just cooked through (insert knife into thickest part of chicken and chicken will no longer look pink and the juices should run clear). Let the meat rest for a few minutes (so it retains its juices) before serving or slicing.